THIS COURSE IS CURRENTLY NOT AVAILABLE IN THE USA! THIS PAGE IS KEPT FOR HISTORICAL PURPOSES ONLY! Students will learn how to integrate international referrals, resulting in increased income, into their business plans. 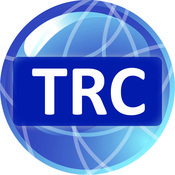 When you are involved in an international referral, as a referring or receiving agent, the TRC demonstrates to other real estate professionals that you are well versed in the procedures of the Transnational Referral system, have pledged to follow a code of conduct in business dealings, and expect that compensation, paid in a timely manner, will be an integral part of the transaction. Real estate professionals prepared to work with agents in other countries to give and receive client referrals can earn more income, provide an important service to their client, and keep the client as a source of future business. THIS COURSE IS DELIVERED FREE OF CHARGE TO ALL THOSE THAT REGISTER VIA THE REGISTRATION FORM PROVIDED BELOW (PLEASE CHANGE DATE ON THE FORM PRIOR TO SUBMITTING). ATTENDEES THAT VOICE THE DESIRE TO JOIN WWW.WORLDPROPERTIES.COM WILL BE GIVEN THE OPPORTUNITY TO COMPLETE THE REQUIRED TEST AT THE END OF THE COURSE, AND PAY THE ONE-TIME SETUP FEE WITH WWW.WORLDPROPERTIES.COM OF $130. Why Participate in International Referrals? Real estate professionals prepared to work with brokers and agents in other countries to give and receive client referrals can earn more income, provide an important service to their client, and keep the client as a source of future business. o Have you had a client who needs help in buying property outside the country…perhaps a vacation or retirement home? o Do you know someone who has inherited family property located in another country? o Have friends whose child will be studying abroad for a year and think buying an apartment instead of renting might be a good investment? o Know of someone being relocated outside the country for a short- or long-term job? Even if you answered “no” to these questions, globalization and a mobile society make each of these scenarios more and more common. These types of transactions do occur every day, and someone’s getting that business. Why not YOU? Allows you to provide an essential service that will result in a satisfied client. Satisfied clients come back to you when they next need real estate services. Satisfied clients tell their friends and family about you, generating more local business. You stand out in your local market as a broker who can handle transactions with an international component. You make money simply for passing along a serious, qualified buyer or seller who needs representation in another national market. You can build business relationships across the world using WorldProperties.com social networking functions. You receive qualified referrals and in exchange for paying a small referral fee, you earn a commission you wouldn't have received otherwise. You build a reputation and network for successfully handling referral clients, thereby expanding your business and earning more money. Making money on referrals is simple. Let’s say you refer a client to a broker in another country who buys a property priced at US$200,000. With a referral agreement, you could be paid US$1,500--simply for having passed along the client. And if you think you don’t want to be the one to pay US$1,500 for a referral, remember…you’re keeping US$4,500…income you would not have been able to get without the referral! Example based on agent earning 3% commission on the sales price and agreeing to share 25% of commission received with the referring agent. All specific financial arrangements are between the referring and receiving brokers.